Anyone up for a challenge?? We are offering classes for you to create a Sparkling Holiday Tree of your very own. This class will teach you many things along the way , which includes Design Positioning, as well as using templates for proper placement in a very large project. The class will run for either 5 or 6 classes, based on how quickly we move along and will meet once a month. There will be homework between each class so you'll need to make time outside of class to complete the stitching as we create portions of the tree. 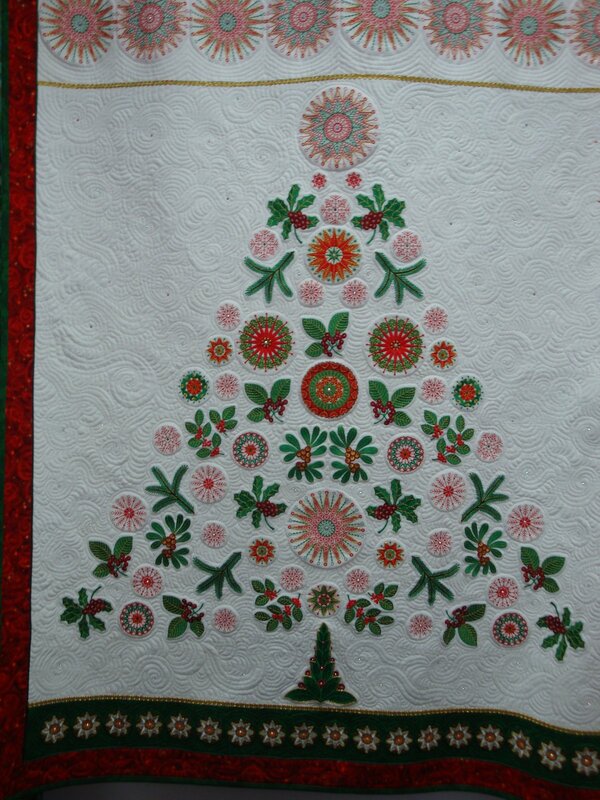 We'll be using a Viking collection called Sparkling Holiday which can be purchased at MerriStitches. This is really a special project that you'll learn a lot about your machines, as well as having a lot of fun in the process. This project requires either 360 x 200mm or 360 x 260mm hoop to do some of the various hoopings.